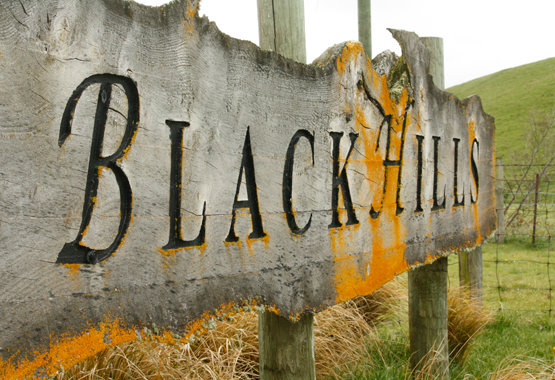 On this 250 acre, fourth generation sheep & beef cattle hill country property of BlackHills, you will have an insight into the life of the early NZ settlers. Heritage buildings (circa 1863) were restored between 1999 and 2004, and include a pioneer cottage & stables made from handhewn limestone with cob, the original sheep dip and horse drawn agricultural equipment. Buildings contain natural coloured, handspun wool garments & products which can be purchased onsite, or here online. Beverley offers a wealth of knowledge about farming in the district old & new. To view the video of the farm in operation, click here. Robert Adam Forrester, of Kilsyth, Stirlingshire, Scotland, arrived in New Zealand on the 'Chrysolite' 24 November 1862, having had a 3 month journey by sea. Initially he worked as a boundary keeper on the property Montrose, North Canterbury, then purchased his own first property in Rotherham, 14 years later, calling it 'Kilsyth'. In 1883 he acquired BlackHills, Hurunui - this had previously been part of the original 201,000 acre property Glenmark Station, that extended from the Waipara River to the Hurunui River. On 10 May 1892, Sarah Forrester, the seventh child of Robert & Louise, was born in the cottage (formerly called Stoneycroft by the Perrot Family) on what was the BlackHills hogget block. James Kilsyth Forrester, the fourth child, married in 1914 and his son Frank Kilsyth Forrester married Ellen, his first cousin, daughter of Sarah Black nee Forrester. Sarah Forrester and James Kilsyth Forrester were therefore Beverley's husband, Jim's great grandparents. Between 1999 - 2004 Beverley restored the buildings and although the farm is now downsized, it continues to this day in her ownership. 2006 NZ Century Farm & Station Award, Awarded to Farms and Stations in New Zealand which have been in ownership by the same family for over 100 years. 2008 Garment selected as NZ Gift for HRH Princess Anne. Presented in NZ at the Canterbury A&P Show. 2010 Winner - Continental Niche Marketing Award, Awarded by North Canterbury Business Assn.